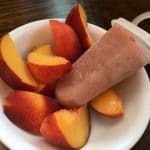 Peach Coconut Popsicles are a great summer treat! 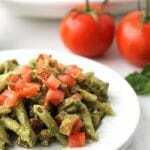 Full of good fats, collagen and tasty fruit, perfect for your loved ones. 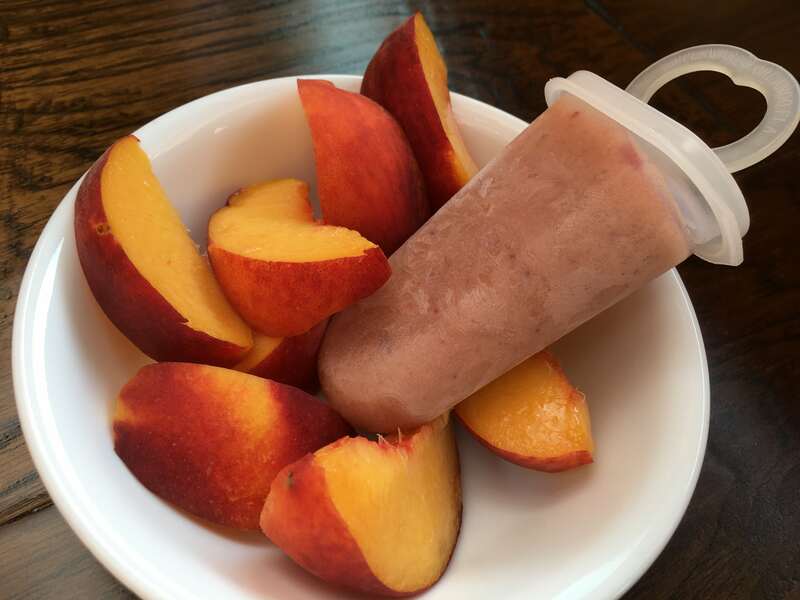 These Peach Coconut Popsicles taste wonderful and are a nutritionally packed snack. 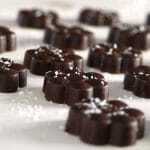 My recipe was inspired by my daughter, Rashele, after I saw how her daughters (my granddaughters!) were so enjoying the Blueberry Coconut Popsicles she made. I thought my teenage boys should have the same type of treat! I had Palisade peaches in the freezer, just begging to be eaten. 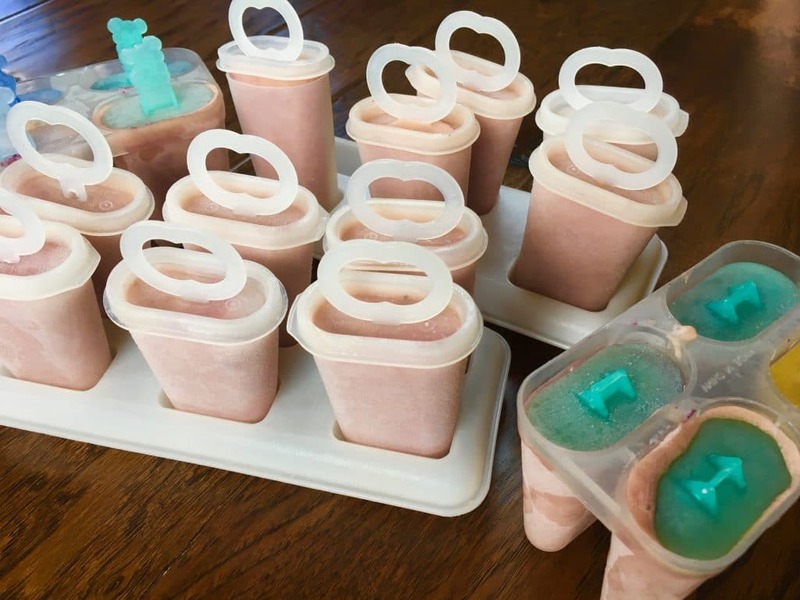 After putting them to good use, the popsicles turned out great and I’m hoping that there will be enough left to take to the lake for our upcoming family reunion. 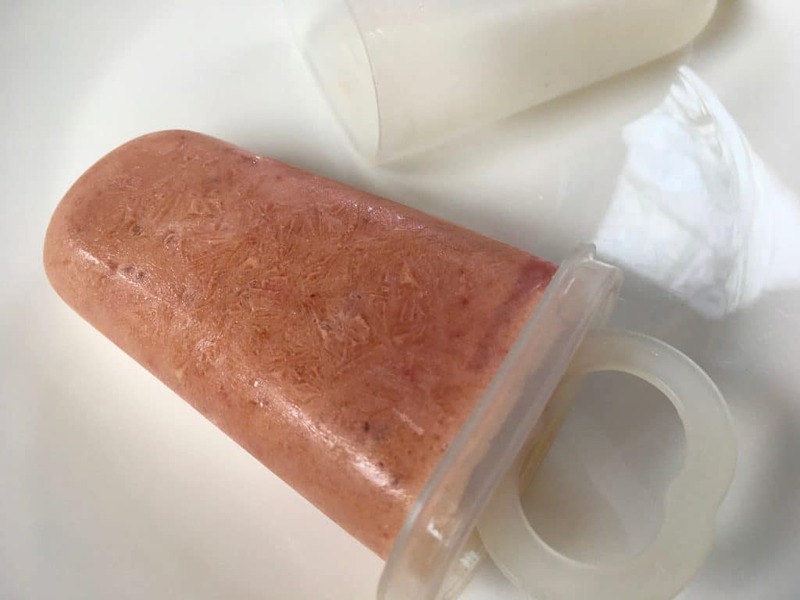 I know it will be hot and other family members will offer commercial frozen popsicles filled with chemicals and dyes, and the boys will politely say, “no thank you,” but I plan on having a healthy option for them and the rest of my family. I had to laugh as I was looking for my popsicle molds. Adam, our 18 year old, was convinced that since they are so old they must of been thrown in the trash some years ago. This is a common misconception around here, but seems to come up often. I hate to buy something twice, so I often find a new place to store gadgets until I need them again, unbeknownst to the rest of the family. These molds were tucked away in a cupboard that I have just for my grandkids to explore. It is hard to believe how old these popsicle molds are; like 30 years old! Tupperware from the 1980’s and inexpensive molds from the local grocery store. Talk about bringing back memories … it definitely makes me smile. P.S. We made more popsicles last night to take to the family reunion. There were a few still in the freezer, but not enough. That must mean they were a big hit with the teenagers! Don’t forget to pin this PEACH COCONUT POPSICLE to your favorite PINTEREST board for later! 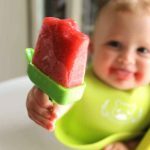 A nutrient dense summer treat for kids! High in good fats from the coconut milk, full of yummy peaches, and sweetened with just a touch of pure maple syrup. 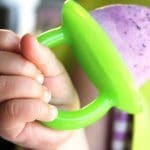 This recipe makes about 5 cups worth; the amount of popsicles it makes depends on the molds you have. For me this makes 20 full size popsicles. Vitamix 5200 Blender: a must-have kitchen appliance.